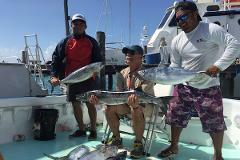 Get your passion for fishing on the exciting blue waters of Isla Mujeres on the Mexican Caribbean, here you will have a unique opportunity to catch white and blue marlin, sailfish, dorado, black fin tuna, wahoo, grouper and more! 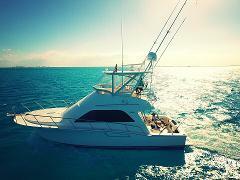 Live your passion for fishing on the exciting blue waters of Isla Mujeres on the Mexican Caribbean! 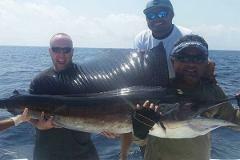 Here you will have a unique opportunity to catch dorado, black fin tuna, wahoo, grouper and more! Experience Fly Fishing! 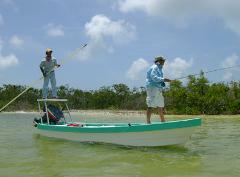 We offer anglers the opportunity to chase trophy, permit and bonefish on pristine flats. Live your passion for fishing on the exciting blue waters of Isla Mujeres on the Mexican Caribbean, here you will have a unique opportunity to catch white and blue marlin, sailfish, dorado, black fin tuna, wahoo, grouper and more!